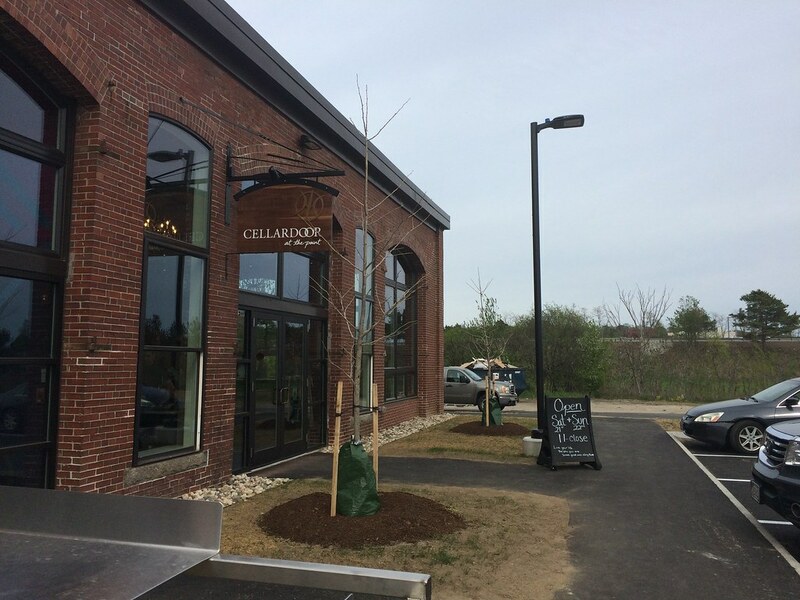 Cellardoor Winery's tasting room, the first drink-related business in a row of redevelopment at Thompson's Point, opened its doors on Saturday. Thompson's Point, formerly an industrial no man's land (for the history of the property, see That's Our Dump! published in The Bollard in August 2011), is becoming an off-peninsula destination already home to a summer concert series, special events, the circus school, and soon that of Bissell Brothers Brewing, Stroudwater Distillery, and a new restaurant from Nosh and Slab owner Jay Loring. Cellardoor Winery's facility and vineyard is located in Lincolnville, where the winemakers use grapes from California, New York, and Washington to make their wine. They do grow a cold-hardy hybrid to make a sparkling rosé and make wine from Maine-grown blueberries. 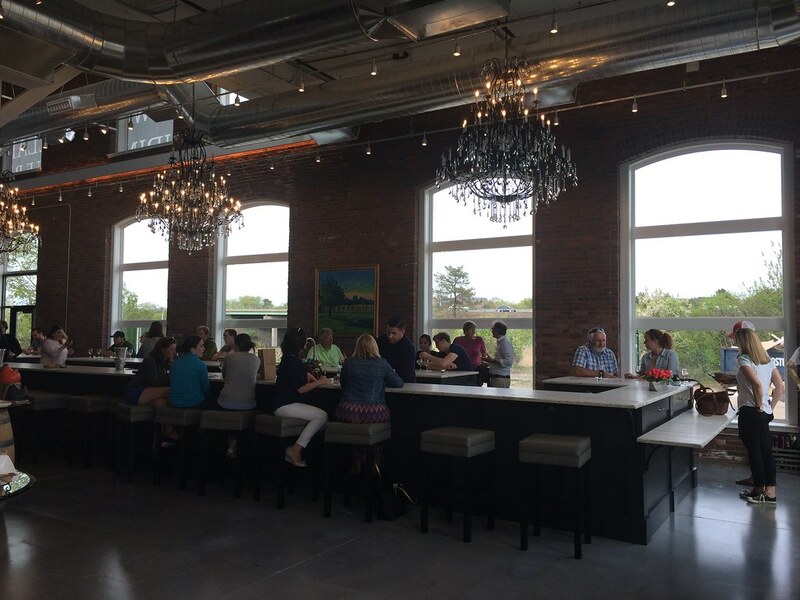 The 5,000 square foot tasting room at The Point is a beautiful space, with about 40 seats around a central tasting bar, a retail shop featuring local artists' wares, and an event space with a large demo kitchen for cooking classes. It was open this weekend on Saturday from 11 a.m. to 6 p.m. and on Sunday as well. It will open again on Saturday, May 28th and be open 7 days a week. I sampled 4 wines for $8, selecting my varietals with a dry erase marker and a laminated sheet listing the 17 wines available for tasting. I tried the Cantina Rossa, a red blend of Barbera, Sangiovese, Carignane, and Grenache; the Trilogy, a Spanish-inspired blend of Tempranillo, Garnacha, and Carignane; the Cabernet Sauvignon, and the Chenin Blanc. Once the surrounding businesses open, this row will be a nice place to spend an afternoon, especially with out of town guests. 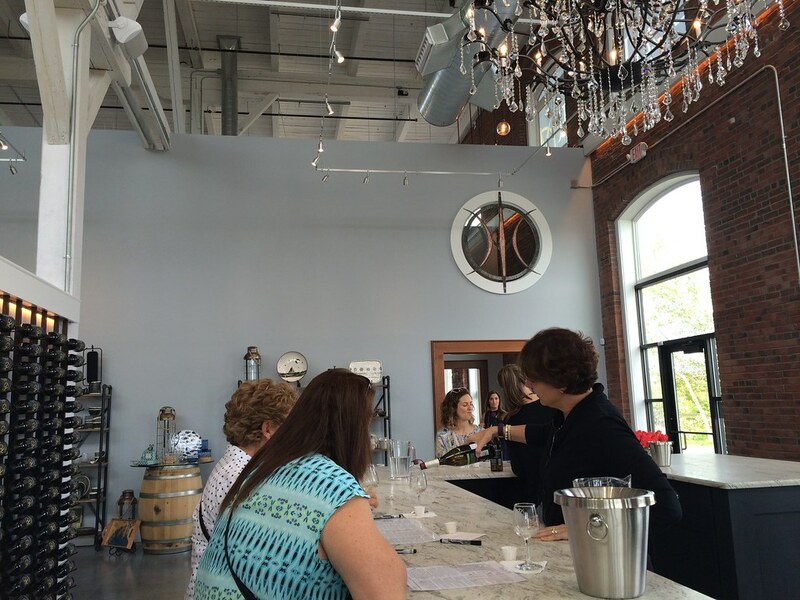 You'll have something for beer, wine, and spirits lovers alike. Bonus: once you've gotten a little tipsy, you can check out the eternal weirdness that is the Cryptozoology Museum! 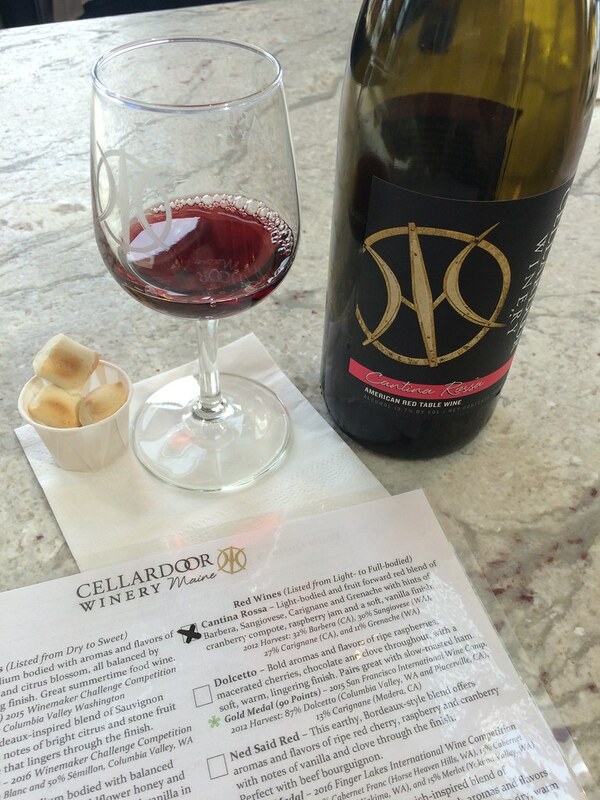 Visit Cellardoor Winery's tasting room at Thompson's Point daily starting Saturday, May 28th from 11 a.m. to 6 p.m. Happy warm weather, TGIF, omg isn't it glorious out, gahhhh Friday! Since Fridays and donuts go together like art shows and donuts, I'm here to announce the Hole History Show opening on June 2nd in Rockland. I've contributed something to the show, since I'm an ardent donut lover, as did many other artists, designers, writers and creators of all sorts. The show is at Asymmetric Arts on Main St. in Rockland and opens on first Friday, June 2nd. There will be donuts, obviously! The show runs through June 25th, so check it out! I'll post with more info after the opening. Forget robins, the true sign of the return of nice weather in Maine is the food truck. 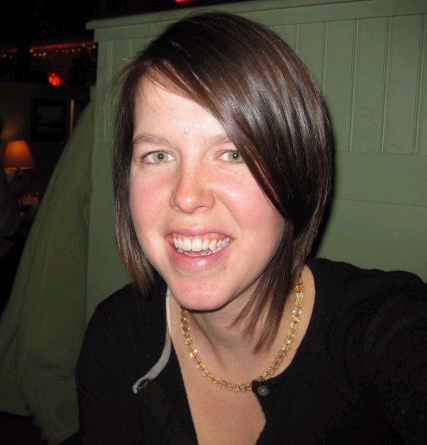 Sure, some business owners tough it out year round, but most take the winter off. Now that it's warming up, chefs are tuning up their trucks and motoring to where people are lounging on the Eastern Prom, drinking beer on brewery patios, and spending the day at the beach. Bring on the warm weather and the food trucks! Bite Into Maine - The OG food cart returns for its 6th year to Fort Williams Park in Cape Elizabeth, serving several styles of lobster rolls. The rolls here are hands down my favorite ones, and the owners are so damn friendly. I always get picnic style with a layer of cole slaw, warm butter, and a sprinkle of celery seed. Open daily 11AM to 3PM, closed Wednesdays. Cannoli Joe's - This dessert truck sells several different flavors of cannolis like White Chocolate Raspberry, Sicilian, Chocolate Peanut Butter Pretzel, and even Pina Colada. Find them parked on the Eastern Prom from 12-5pm. CN Shawarma - The shawarma truck is another one of my favorites. The owners serve shawarma meats (grilled on a spit) wrapped in Iraqi flatbread with delicious sauces and fresh vegetables. Don't miss the fries with seriously garlicky sauce. You'll find the colorful truck parked at the breweries on Industrial Way (Foundation and Austin Street), at Rising Tide Brewing, at Thompson's Point when the Bissell Brothers open up, and occasionally on the Eastern Prom. El Corazon - This Mexican food truck is an old faithful in that it's consistently parked downtown at Spring and Temple Streets. This year, they're partnering with restaurants for special events and pop-up dinners, parking in front of Brian Boru for Cinco de Mayo and taking over the kitchen at BaoBao Dumpling House on May 16th for a 3-course meal. Reserve a seat by calling (207) 200-4801 or emailing elcorazonportland@gmail.com. 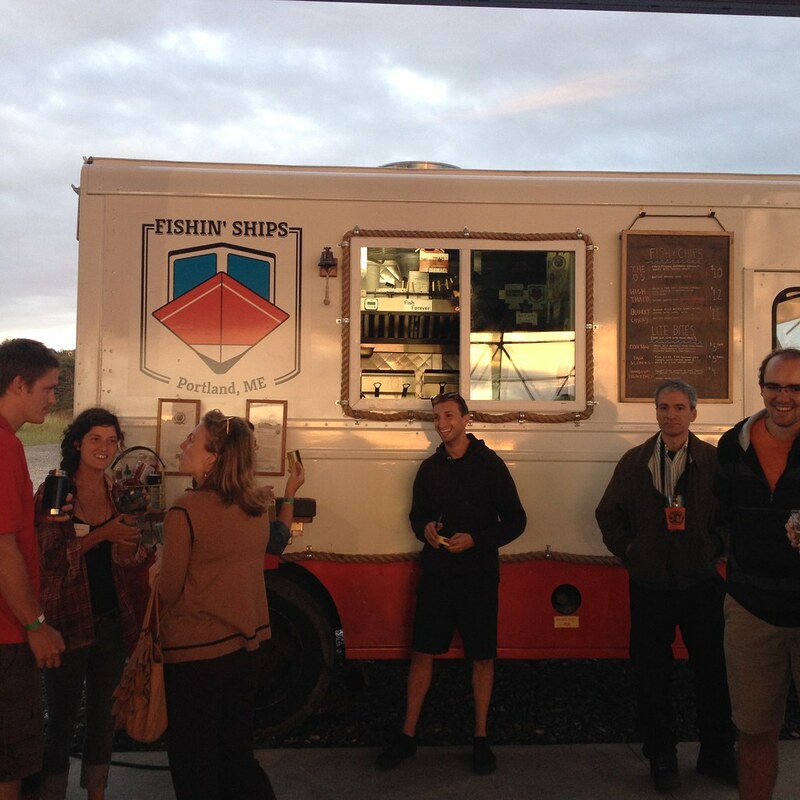 Fishin' Ships - This nautical, pun riddled truck kicks off its season at Street Eats & Beats this Saturday, launching into a busy season. Find them at Thompson's Point for concerts and at the Bissell Brothers' brewery once it opens. They'll also be at Rising Tide and the Industrial Way breweries and special events throughout the summer. The Gorham Grind - This mobile coffee truck, named Flo, from the Gorham coffeehouse can be found at Thompson's Point this summer. 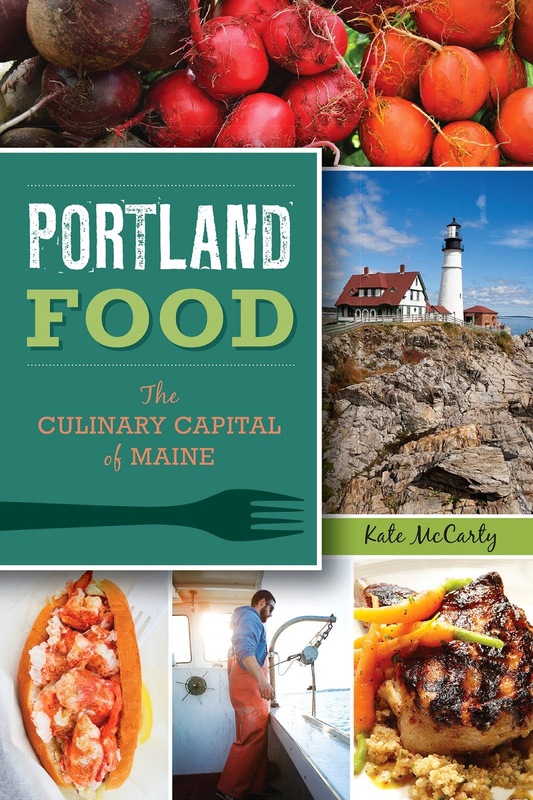 The truck also makes appearances at the Crofter [sic] and Artisan market on Sundays at 84 Cove Street in Portland and the Westbrook Farmers' Market. Be sure to try the Rocket Fuel coffee milk. Love Kupcakes - This cupcake camper (kupcake kamper?) can be found at special events and in the parking lot of Bull Moose at Mill Creek, serving several kinds of baked goods like whoopie pies, muffins, and cookies in addition to cupcakes and coffee. Gluten free and vegan options are available as well. Mainely Burgers - This truck, run by college students, goes dark during the school year, but will be making a few appearances at Rising Tide Brewing this summer and movie nights at Bug Light, as well as stationed at its regular spot at Scarborough Beach State Park. 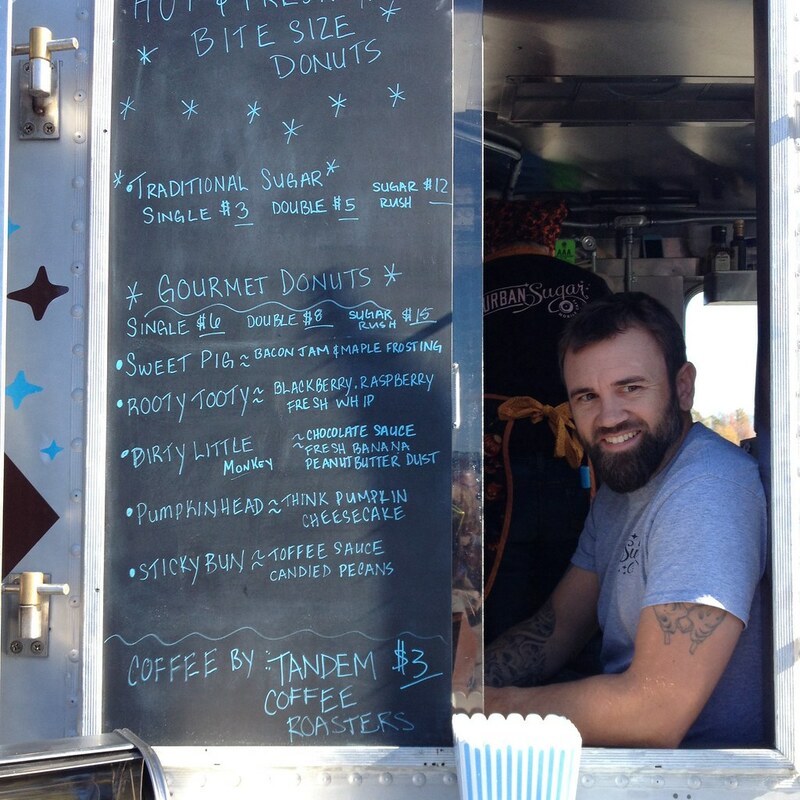 Look for their sister truck Mainely Treats too. 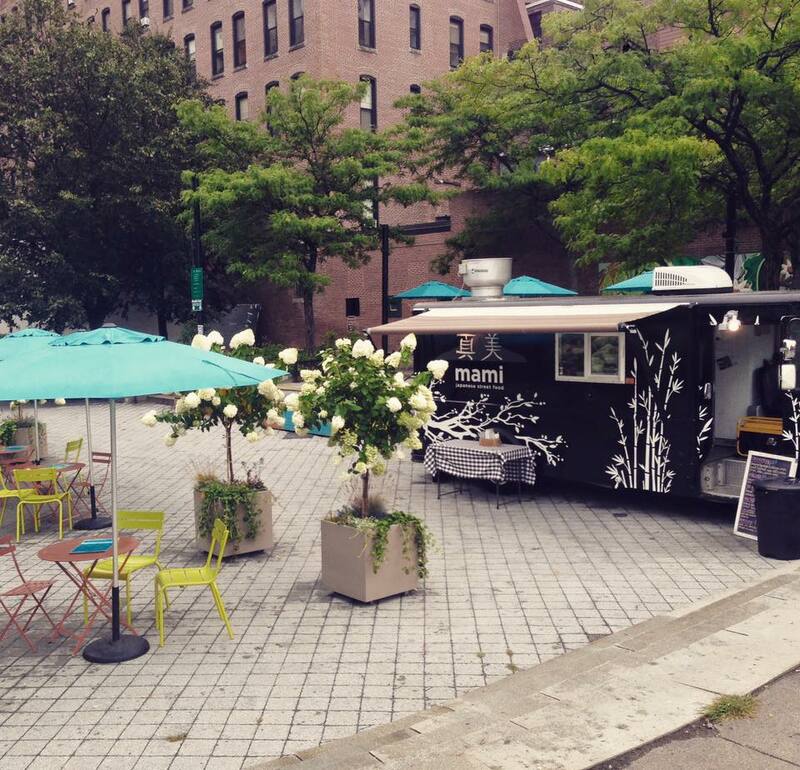 Mami Japanese Street Food - You can find this truck's delicious Japanese fare at breweries around town (Rising Tide and Industrial Way) and at special events like the July 17th Cultivating Community's Twilight Dinner at the farm in Cape Elizabeth. Milly's Skillet Seaside Kitchen - Formerly one of two Wicked Good trucks, Milly's welcomes you to Peaks Island on Jones Landing (see my review of Peaks Island dining options from last summer) with service beginning Memorial Day. Milly's will be serving sandwiches, soup, and sweets for island picnics or to enjoy on site at picnic tables all summer. Muthah Truckah - Find grilled sandwiches from the Muthah Truckahs as they get in on the weekday lunch crowd with El Corazon at Spring and Temple Streets and then at various breweries (Allagash, Rising Tide) on weekends. PB&ME - This truck specializes in combinations of peanut butter and jelly sandwiches, available deep fried too. Other options include deep fried Oreos, burgers, hot dogs, and fries. Find the colorful truck at special events around Portland. 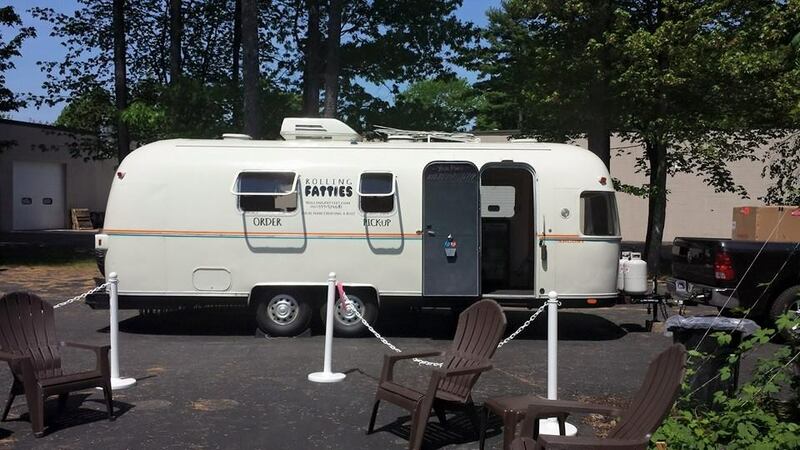 Rolling Fatties - With a cute hashtag (#fattiesareburritos) and a wink, the owners of this Airstream-style trailer serve burritos in Kingfield and Skowhegan, but occasionally can be found around Portland. Find them at Thompson's Point several times this summer. The SaltBox Cafe - Launched earlier this year, this food truck is actually a little shed on a trailer that serves breakfast and lunch on the Eastern Prom. Find them weekends starting at 8:30am on the Prom and occasionally at Rising Tide and Industrial Way breweries. Sugarbird Coffee Truck - Portland's newest food truck just launched, serving drip coffee, espresso drinks, and hand pies from Ten Ten Pié. So far the trucks has parked on Commercial Street at Ocean Gateway, taking a stab at the cruise ship passenger market, and on Park Ave. by the Deering Oaks farmers' market on Saturdays. Urban Sugar Donuts - All hail the mini donut! After an uncertain future, Rosie the donut truck is returning to Portland (Kevin Sandes, the owner, spends his winters at Sugarloaf in his brick and mortar shop). Find these tiny delights this summer at Thompson's Point, the Eastern Prom, and special events. Wicked Good - Serving both "wicked" and "good" items, this bright green truck will be at special events, like road races, concerts, and movie nights around Portland this year. You'll find them at Wolfe's Neck Farm events like the family-friendly Spring Fest on June 4th. Ziggy's - Formerly Gusto's, Ziggy's still serves pizza cones to late night revelers on weekends in the Old Port, with hand pies and fries rounding out the carb-heavy menu. You'll also see Ziggy's at special events and the Cumberland Fair this fall. In addition to these trucks, you'll also find High Roller Lobster Co. (seafood rolls), Locally Sauced (burritos), and Snappy's Tube Steaks (hot dogs) food carts at the Industrial Way breweries and Rising Tide Brewing. The Maker's Mug coffee cart will be at Thompson's Point. If you'd like to try several trucks at once, grab a ticket to this Saturday's Street Eats and Beats. So far the lineup includes El Corazon, Love Kupcakes, Pinky D's, Urban Sugar, and Fishin' Ships. It's at Thompson's Point this year from 12-5pm, and $15 in advance ($20 at the door) includes live music and a beer. 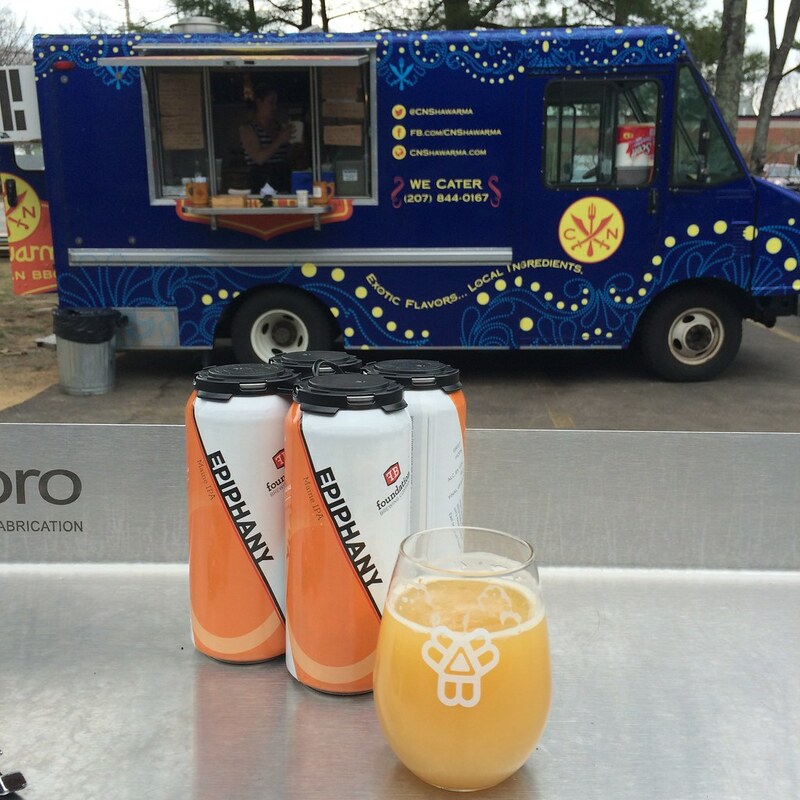 The Kennebunkport Festival's Brews and Tunes also has food trucks. It's June 11th at 1pm at the Green at the Captain Lord Mansion. Tickets are $20 and include live music from Spencer Albee, the Fogcutters, and Amy and the Engine. 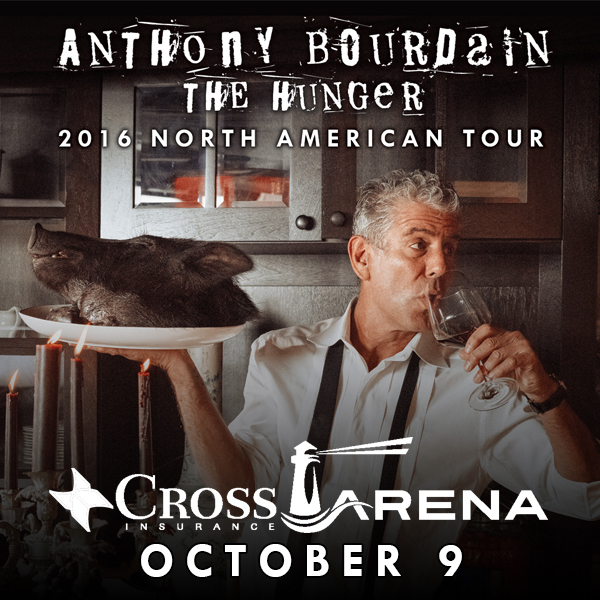 Chef, author, and TV personality Anthony Bourdain is coming to Portland, Maine on his "The Hunger" tour this fall, to hold forth on his travels and the food he encounters while filming his show Parts Unknown in what's sure to be an entertaining show. 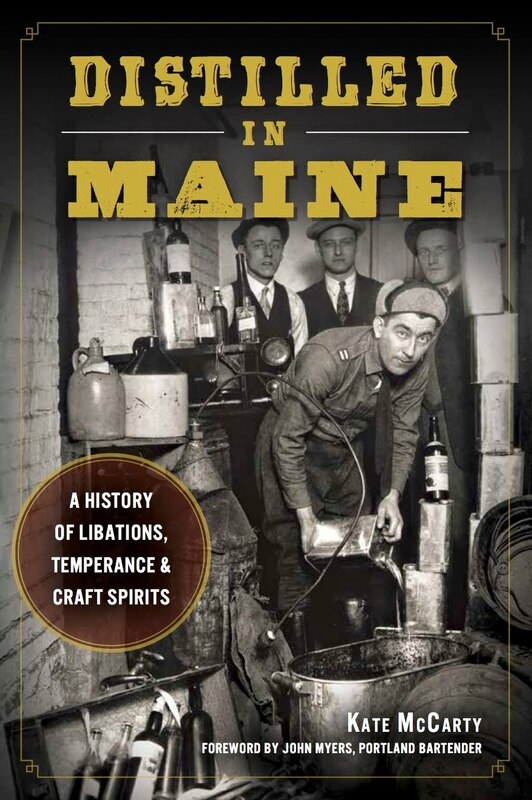 Bourdain has been through Maine before, for an event at Merrill Auditorium with chef Eric Ripert and to film an episode of No Reservations, where he further proves the maxim that it's impossible to say anything about the state of Maine without offending someone. But that's sort of Bourdain's bit—he has lots of opinions and doesn't hold back. It's pretty amazing that he's been able to remain relevant in his career that has spanned almost 20 years as an author and a TV show host. His popular blend of humor and criticism makes him a knowledgeable insider to the food scene, but one that's not afraid to slaughter any sacred cows. (See that dust-up over his reaction to Street & Co. recapped by Meredith Goad in the Press Herald). So with a new cookbook in the works (Appetites, due out October 25th), Bourdain is back on tour with his stand-up routine and a Q&A session with the audience. He'll be stopping in Portland October 9th at the Cross Insurance Arena. Tickets go on sale May 6th at 10am, but readers of the Blueberry Files can access presale tickets with the code HUNGER. And whatever you do, come up with a good question for the man—he reportedly hates "where are you going to eat after this," although, honestly, I want to know. Disclosure: I received tickets to this show in exchange for helping to promote the event.